So it turns out that I've been going through a phase of "doily addiction." 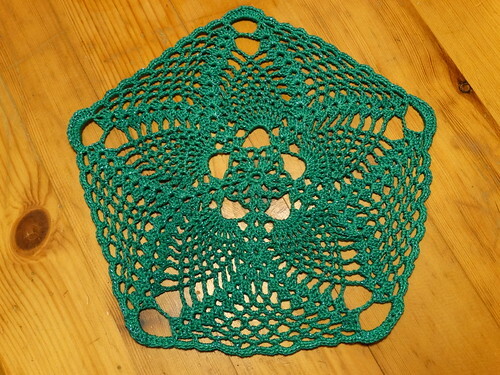 That is, the inability to crochet anything other than doilies. I have no idea why, but its a thing that has occured. As a result, I have finished a long term work-in-process (WIP) and also completed two more doilies (both of which were the same pattern). 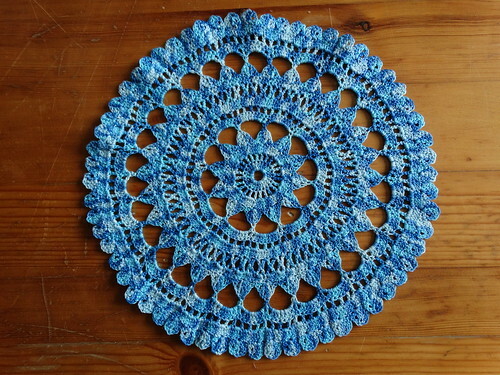 I'm thinking about selling some doilies, but I'm not sure that they will sell very well, so we might have to wait and see on that one. 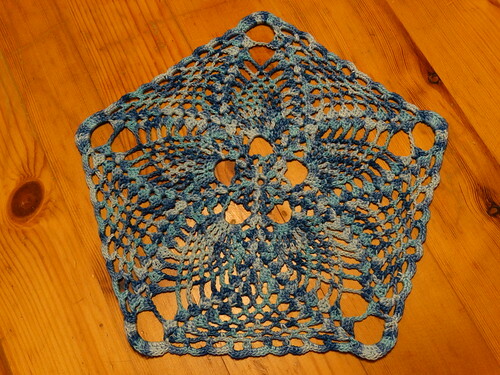 The doily that's long been on my WIPs list was the Surf Doily. When I started, I loved the simplicity of the pattern (excusing the one round exciting cross-stitch round) but I came to dislike the seemingly endless round of trebles so it ended up taking a break for a long while. A few days ago I felt the need for a boring, easy project with (hopefully) quick instant gratification so I picked it up again and it didn't actually take me very long to finish it. I'm pleased with it now! The pattern is available for free on Ravelry if you want to make your own! Apparently this is an old pattern that's only available through the Web Archive service - but again available on Ravelry for free. I really enjoyed this pattern - hence why I made two of them in a week! I did discover that I'd failed to read the instructions properly in the first go (the blue one) but which doesn't appear to have made much difference to the end doily. The second one (the green one) I did everything according to the instructions and I think this pattern looks better in the plain yarn than the colour changing yarn.